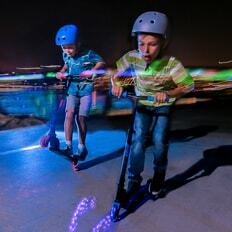 Neon Street Rollers Pop & Lock let you skate on demand! Clip them over your favourite shoes and adjust to size, then away you go. 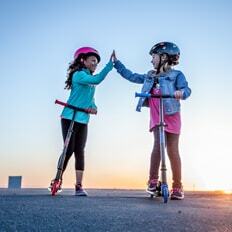 Now you can skate anywhere and to the school gates, the park or around the block. 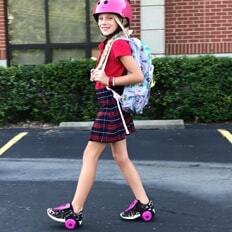 Turn your regular shoes into roller skates! We’ve taken our Neon Street Rollers Pop’n’Lock to the next level with a new easy close clasp for a more secure fit and a kick down heel to instantly change between walking and rolling. 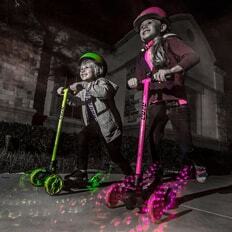 The wheels are packed with glow technology that makes them light up when you move – no batteries required. Now you can wear your wheels all day long! .